notify the Agency of their condition. On 21st June 2012, the DVLA issued new guidelines aimed at making it easier for drivers with insulin treated diabetes to understand the new driver licensing rules recently introduced to comply with a new European Directive on driving licences. The DVLA has worked closely with Diabetes UK, the leading charity for those with the condition, to make sure that the information available to drivers is clear and easy to understand. Following concerns raised by Diabetes UK that the application form for a driving licence was misleading, DVLA worked closely with Diabetes UK to agree and implement a number of changes to the form, such as making it clearer what is meant by a "severe hypoglycaemic event". "I asked the DVLA to work with Diabetes UK to ensure that people with diabetes understand the importance of notifying the Agency about their condition. "We must make sure that only those who are safe to drive are allowed on our roads, while at the same time avoiding placing unnecessary restrictions on people's independence and their right to work. "I am extremely pleased that Diabetes UK and the DVLA have worked so closely on this to make sure that the information available for drivers is clear and easily understood." "We were concerned about the impact of recent changes to the medical standards for drivers with diabetes. Some people did not understand the implications of some of the questions on the medical questionnaires and were providing wrong answers that meant that their licences could not be granted. 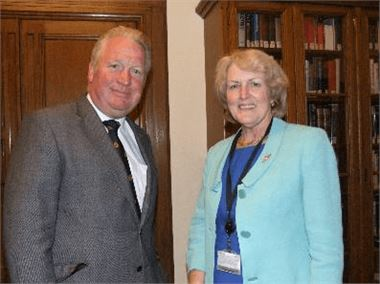 "We raised our concerns with the Road Safety Minster, Mike Penning, and we are pleased by how the Government has listened to our concerns and been prepared to work with us to develop forms that are easier for people with diabetes to understand. "We are still worried about the increase in people with diabetes having their driving licenses taken away, but this change means that at least people are unlikely to miss out because they did not understand the application form. "We will continue to work with the DVLA to monitor the impact of the changes to driver licensing for people with diabetes and to ensure that the process is fair, transparent and safe." Driver licensing rules in the UK are governed by the second European Council Directive on driving licences (91/439/EEC) originally adopted in 1991. The minimum medical standards for the issue of driving licences are detailed in Annex III of the second Directive and the forthcoming third European Directive on driving licences. Member States may apply stricter standards than those imposed by the EU.